Iris Tan Music is one of Asia’s leading music producers and composers, producing music for TV commercials, jingles, background music, music for albums and much much more. Iris wanted me to build an entirely new website from scratch to replace the old out of date website, which in honesty did look a little old. The challenge in this website design was not building the site itself but to keep the old S.E.O titles, meta-data and descriptions, which didnt prove to be as much as a problem as some of the design elements. 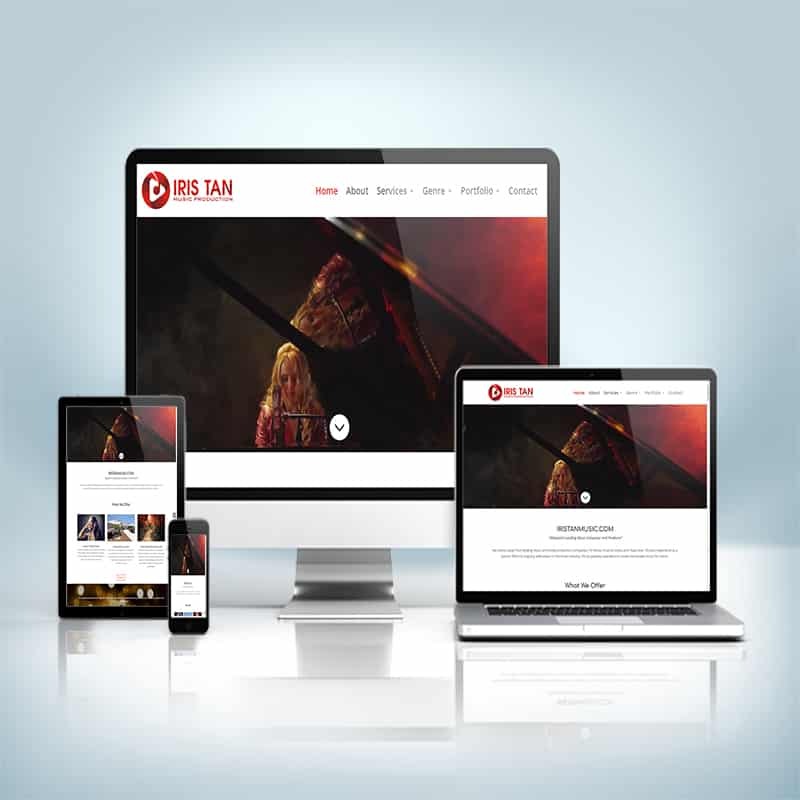 Iris Tan wanted the portfolios laid out in a specific way, some had to be full-width in portrait and others had to be designed in an easy to read way almost like a blog layout. The finishing touch was the video of a woman playing piano, it auto plays on computer and laptop, while a static image is the main feature on mobile.